At rated power, generators are very efficient; however, at low power levels the efficiency decreases. 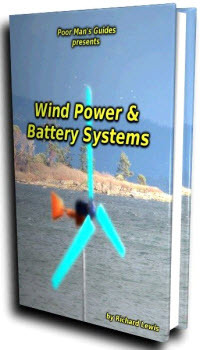 Therefore, some wind turbines have two generators, one for lower wind speeds. The Vestas V47 had a 200 kW and a 660 kW generator. Another way is to switch between number of poles, six poles for low wind speed and four poles for higher wind speeds. The Bonus generator was 260/1300 kW. The generator for the MOD-5B was rated at 3.2 MW, and was a variable-speed (1,330-1,780) wound-rotor induction generator. A cycloconverter system maintained a constant-frequency output. The Westinghouse, 600 kW, wind turbine had a synchronous generator, and frequency was controlled by the variable pitch of the blades. A power control algorithm limited high instantaneous power output (spikes caused by wind gusts) by derating the maximum power by 10% when a power spike exceeded 800 kW. Large wind turbines can be operated at variable-rpm, maximum CP operation. This means low-rpm generators with a large number of poles. Project Eole located at Cap Chat, Canada, was a large VAWT rated at 4 MW. Since this was a direct-drive system, the generator was quite large, 12 m in diameter with 162 poles. The output was rectified to DC and then inverted back to 60 Hz AC. The unit only operated for around 10,000 hours, and power output was limited to 2.5 MW. Enercon, a German manufacturer, developed large-ring generators to eliminate the gearbox on large wind turbines. The output is rectified and then converted to constant frequency. 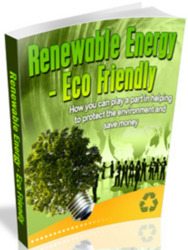 Over 10,000 units have been installed from 300 kW to megawatt units. In 2007, it built a 6 MW unit, 126 m in diameter (E126). The Sandia VAWT test bed (34 m diameter, rated at 500 kW), which was located at USDA-ARS, Bushland, Texas, was designed as a variable-speed, constant-frequency system. The system was a load-commutated inverter, AC-adjustable speed drive, with a synchronous motor/generator rated at 625 kW. Such systems are currently operated in industrial applications. Power electronics and inverters allow wind turbines to operate at either constant or variable rpm. Jay Carter Sr. developed a wind turbine with the same rotor, hub, and drive train, which has two induction generator options: six poles, 30 kW (wind rotor 60 rpm) for medium wind speed regimes, and four poles, 50 kW (wind rotor 90 rpm) for good wind speed regimes (Figure 7.11). Higher-voltage generators are used in some wind turbines. A Spanish manufacturer developed a geared wind turbine with a brushless synchronous generator and a full converter. The size of the wires connecting the generator to the grid depends on the current and distance to the connection. For small wind turbines, manufacturers will recommend wire sizes for different wire runs; however, that can be checked against tables (Table 7.1). FIGURE 7.11 Left: Generator, gear box, and Jay Carter Sr. Right: Stator and rotor of generator, 50 kW. Source: From Agriculture Wiring Handbook. 3rd Ed, 1993. National Food and Energy Council, Colombia, Missouri. Note: First column is the current; the next two columns give minimum size of wire to use for type of insulation and for bare wire. With longer wire runs, a larger-diameter wire is needed. The length of the total wire run is in bold, m. Other numbers are size of wire. 4/0 means 0000 size. A smaller number means a larger-diameter wire, and more zeros mean larger-diameter wire. After 4/0, the number is a thousand, circular mills.